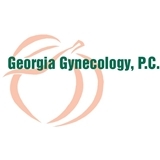 Georgia Gynecology, PC (Kennesaw) - Book Appointment Online! Our office is dedicated to providing personalized, compassionate and comprehensive care in a comfortable setting. We provide top quality healthcare to women of all ages, from pediatrics to post-menopause. Dr. Khatami provides state of the art medical services and is up to date with the latest surgical techniques and protocols. Our staff is friendly, courteous and respectful. We are located in Kennesaw near Acworth and can be easily accessed from the Marietta, Dallas and Hiram areas. If you need to cancel your appointment, please call the office and allow at least 24 hours' notice so that we can offer your appointment to other patients. If your appointment is not cancelled within 24 hours' of your scheduled appointment time, you will be required to pay a fee at the time of your next scheduled appointment. Dr. Khatami is very knowledgeable, compassionate and proactive physician. Her staff is efficient and personable. Over the many years she has been my gyn she has solved any out of the ordinary medical issues. She also addresses the whole person not just the physical which would include mental and well-being such as diet etc. Highly recommend her practice!